INNENCO is an innovative company that combines science, innovative technical solutions, and thermal energy storage to meet the demand for low energy buildings, communities, and entire cities worldwide. The concept cools and heats any building, community or city with less energy through an ecosystem of products connected by our patented distribution system - Active Elements. It is a durable system that is easy to implement, fully compatible with ISO standards, EU directives, green buildings, smart city standards and we have great results in both hot as well as cold climates. Let’s meet and discuss how we can reduce energy usage and cost, CO2 emissions and water consumption in your existing buildings or next construction. Try again or send an email to info@innenco.com. The system contributes to less emissions since the need for new energy goes down. Reduces the risk of mold in the construction since the system never surpasses 22°C. The system provides a balanced temperature across the entire building through radiant heating and cooling without the cold and unhealthy air from the air conditioner. The system is developed to reduce both physical space and usage of building material when installing the system. The system reduces the amount of water needed to cool buildings with up to 30%. It all starts with our patented distribution system that balances the temperature in the entire building. By thermal storage, the Innenco technology is able to reduce the overall energy used to heat or cool any construction. Easily put, the system stores and reuses temperatures across the building. The Innenco system is compatible with all types of energy sources and it works in new constructions as well as retrofitting of old buildings. Active Elements work in different climate zones within a building to heat or cool all rooms as required. The system will balance the temperature of each room and reuse excess temperatures wherever needed. 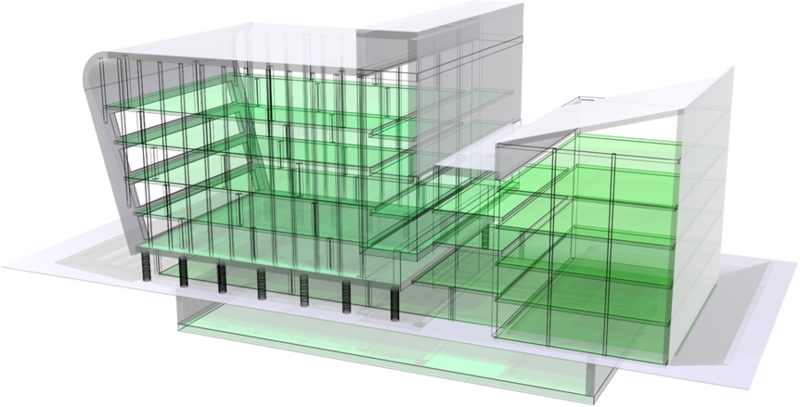 For each construction method, our energy experts will provide blueprints for optimizing climate zones in all types of buildings. The system creates balanced temperature zones by redistributing any access temperatures where it is needed or storing it for later usage. The system has 10x more flow than traditional systems, which allows the Innenco System to utilize low-temperature changes and store it for later use. The effective flow also allows the system to react fast in any temperature change to always keep the room temperature balanced. The result is up to 80% less energy consumption compared to traditional systems and 40% compared to passive houses. The system can scale to achieve even higher energy savings by connecting various constructions with the same principles as in a single building. In this case, instead of reusing the access temperature in only one building now the system can reuse the access temperatures from an entire community. This will result in Near-Zero or even self-sustainable communities. Innenco Viable City Concept allows the system to connect an entire city to achieve optimal savings, in energy, CO2 emissions, and water usage. 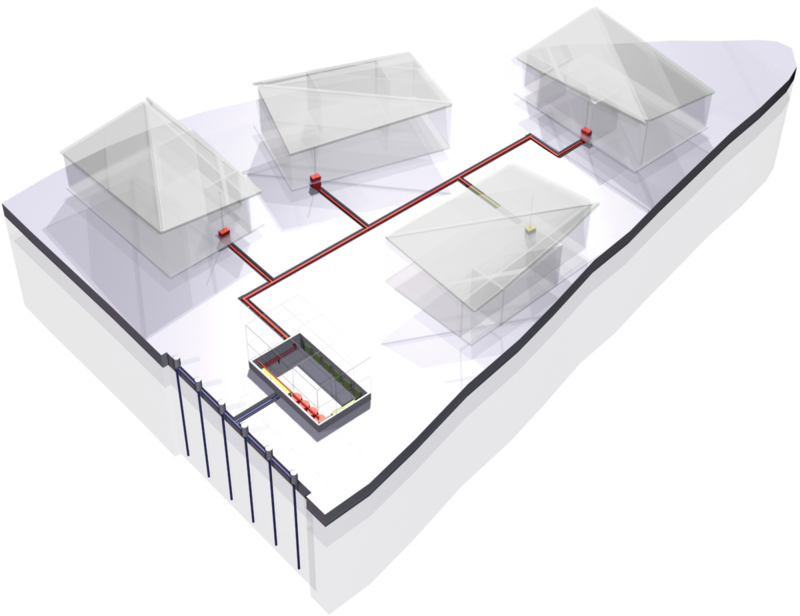 In this setup, the system works through a complex grid system connecting all buildings, zones, and renewable energy sources to allow a whole city to become Near-Zero. It is important for us to maintain a long-term sustainability for our customers, both financially and environmentally. Together with our customers we inline the financial aspect of any project to allow everyone to build or retrofit any object while keeping the energy, CO2 and water usage very low. In the early project phases Innenco provides an in dept ROI and Life cycle cost report to ensure that each project is both financially and environmentally viable. The Innenco experts will corporate with the project members in each project stage to ensure a smooth implementation. The team reviews the project scope, blueprints and technical project information, so they can create an initial project plan that gives an overview of the energy savings, system ROI and total Life Cycle Cost/savings. 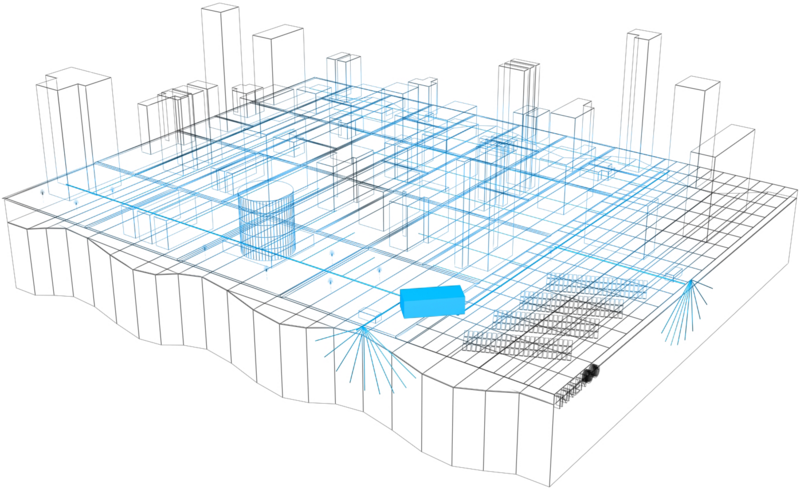 Innenco will work together with existing stakeholders, architects and project managers to provide a feasibility report, 3D drawings and blueprints of the system layout, implementation strategy and project schedule. The team will deliver the material and install the system together with the installation team. The Q&A team will test and startup the system in accordance with the project schedule. Innenco warranty program reduces risks and assures long-term durability. Innenco is able to support an entire project with in-house resource, starting from the planning phase to the implementation and maintenance phase. The team has vast experience working with both complex projects with various stakeholders, installation teams and builders, as well as working with one team to implement the Innenco system.